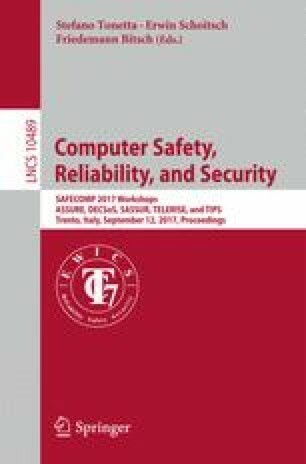 Safety-critical applications could benefit from the standardisation, cost reduction and cross-domain suitability of current heterogeneous computing platforms. They are of particular interest for Mixed-Criticality Product Lines (MCPL) where safety- and non-safety functions can be deployed on a single embedded device using suitable isolation artefacts and development processes. The development of MCPLs can be facilitated by providing a reference architecture, a model-based design, analysis tools and Modular Safety Cases (MSC) to support the safety claims. In this paper, we present a method based on the MSCs to ease the certification of MCPLs. This approach consists of a semi-automated composition of layered argument fragments that trace the safety requirements argumentation to the supporting evidences. The core of the method presented in this paper is an argument database that is represented using the Goal Structuring Notation language (GSN). The defined method enables the concurrent generation of the arguments and the compilation of evidences, as well as the automated composition of safety cases for the variants of products. In addition, this paper exposes an industrial-grade case study consisting of a safety wind turbine system where the presented methodology is exemplified. This work was funded by the European Union’s 7th Framework Programme under grant agreement No. 610640. Any opinions, findings and conclusions expressed in this article are those of the authors and do not necessarily reflect the views of funding agencies.